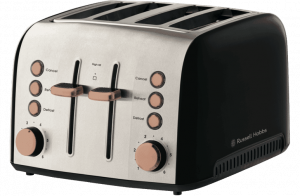 Compare toaster brands Russell Hobbs, Target, Breville, DeLonghi, Kmart, Sunbeam and Kambrook on their performance, value for money, design, ease of use, ease of cleaning, functions & features and overall customer satisfaction. 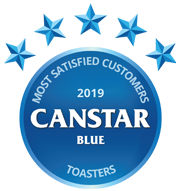 Russell Hobbs has ‘toasted the competition’ in Canstar Blue’s inaugural toaster ratings, scoring five-star reviews for performance, design, ease of use, ease of cleaning, functions & features and overall customer satisfaction. Synonymous with breakfast, a slice of toast is a staple for many households when it comes to starting the day. Regardless of your preferences for toppings, such as jam or butter, a crunchy piece of toast for breakfast can be enjoyed whether you’re in a rush to get out the door, or have plenty of time to lounge around. As a result, a toaster is an essential for the kitchen, with the small appliance often the unsung hero for many. But when it comes to picking up a new toaster, consumers are often met with a wall of options, making the decision a tricky one. Thankfully, with the help of Canstar Blue’s customer review, you can narrow down your search and find the best model for you. We’ve surveyed more than 900 Australian consumers to ask about the brand of toaster they’ve recently purchased and used. Brands that reached the minimum sample size required were rated on a number of variables, from performance to functions and features. Seven brands made it into our inaugural toaster review, but one outshined the rest – Russell Hobbs. It achieved five stars on performance, design, ease of use, ease of cleaning, functions & features and overall customer satisfaction, plus four stars on value for money. Target, Breville, DeLonghi, Kmart and Sunbeam all got four stars for overall satisfaction, while Kambrook was left with just three stars. Other results of note include Target being the only other brand along with Russell Hobbs to get five stars on performance. Both Target and Kmart were the only two brands to earn five stars on value for money. Sunbeam also received five stars on ease of use and cleaning, along with this year’s winner. In addition, Breville was the only brand apart from Russell Hobbs to get five stars for functions & features. Let’s now consider what each of the seven brands in this year’s review have to offer. A veteran in the kitchen appliance market, Russell Hobbs has been operating for more than 60 years, with products readily available from most local appliance retailers. With plenty of 2-slice and 4-slice models for households to choose from, Russell Hobbs is worth checking out if you’re in the market for a new toaster or a kettle to match. 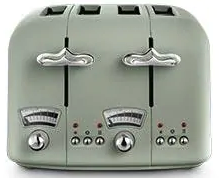 The 2-slice toasters are split across several designs, including Heritage and Classic models, with most available with either stainless steel or coloured finishes. 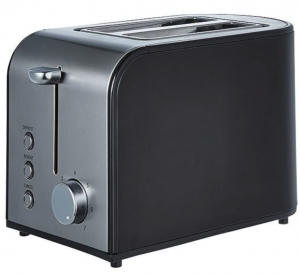 The Classic model comes with all the features you’d come to expect with a toaster, including a removable crumb tray, wide slots and button functions, with the Heritage line available with more colours and illuminated buttons for easy use. If you’re after a 4-slice model, Russell Hobbs offers plenty in terms of colours and finishes, helping you find the perfect fit for your kitchen’s colour scheme. With a wide range that includes a 4-slice variety of the Heritage and Classic models, consumers are also offered the Brooklyn, Lunar, Siena and Vintage series, all with different dimensions and aesthetics. All come with a number of browning settings for personal preferences, as well as safety features to ensure your breakfast is the only thing that’s toasted. If you’re looking to completely fit out your kitchen, Russell Hobbs offers plenty of appliances in similar finishes and colours, helping give your kitchen a stylish look. In 2019, Russell Hobbs was an outstanding performer with five stars on performance, design, ease of use, ease of cleaning, functions & features, as well as overall customer satisfaction. It was a solid four stars on value for money. Along with offering a number of leading brands, Target features some of its own toasters – six models at the time of writing. Most models are 2-slice, but there’s also one 4-slice toaster for larger households. There’s a number of choices when it comes to colour – whether you’re wanting to add a pop of red to your kitchen or a sophisticated black. Its 2 Slice Toaster (TART1702) comes will all the features needed to make your toast just the way you like it. It has adjustable browning control, a removable crumb tray, as well as cancel, reheat and defrost functions. 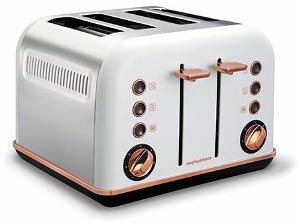 Other models also feature handy cord storage and wide bread slots for cafe style toast. The one and only 4-slice toaster at Target is slightly more advanced, featuring an auto pop-up with additional lifting ability, adjustable browning control with up to seven different settings, plus your standard defrost, reheat and cancel functions. 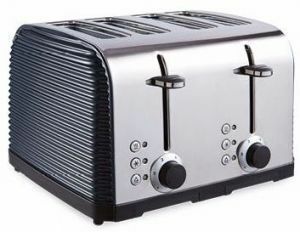 This large 4-slice toaster comes in at $29, so if you’re looking for a budget friendly option, you might like to check out the Target range. Target was a bit of a mixed bag in our review with four stars for overall satisfaction, design and ease of use, plus an outstanding five stars on performance and value for money. It was just three stars on ease of cleaning and functions & features. A worldwide kitchen appliance brand, Breville provides a number of model lines for toast fans to choose from, regardless of whether you’re after a 2-slice toaster for a light breakfast, or a 4-slice model to feed plenty of hungry mouths. Available in predominantly white and stainless-steel designs, Breville offers an appliance that can fit in with any kitchen’s aesthetic. But if you’re looking to brighten up your kitchen, Breville’s Toast Select and Smart Toast toaster ranges feature Cranberry Red, Blueberry Granita and Smoked Hickory colour options. Breville’s introductory toaster, the Lift & Look model, gets its name from the ‘Lift & Look’ function, which allows you to manually lift the lever to check the progress of your toast without interrupting the toasting cycle, meaning burnt toast can be a thing of the past. With a cool-touch plastic exterior, the Lift & Look has multiple settings to cook your toast how you like it, along with wider slot design for larger cuts of bread. For those who can never seem to get their toast right, Breville has a solution in the form of another line of products, the Bit More series. With similar functions to the Lift & Look, the Bit More models come with a ‘Bit More’ button, which adds an extra 30 seconds to the toasting cycle to help you get the toast you want. If you can’t decide between the Lift & Look and Bit More toasters, Breville has combined the functions of both in its Toast Control model. 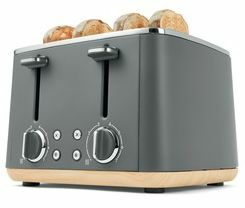 The Toast Control also comes in a 4-slice variety, as well as a Long model, which contains extra wide and deep slots for larger breads, such as artisan and Turkish bread, making it handy for any meal. 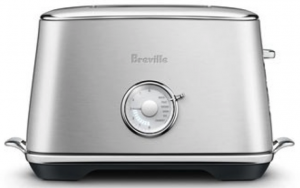 Breville’s top of the line model – the Smart Toast – combines all of the features of Breville’s range into one toaster, making it a powerhouse in the market. The range will set you back between $150 and $200. Breville got four stars for overall satisfaction, with the same score in most other categories. It also got an excellent five stars on ease of cleaning, plus functions & features. Operating for over 100 years, DeLonghi is an Italian manufacturer producing a wide variety of kitchen appliances, including kettles and toasters. With its wide range of colours, finishes and flash designs, DeLonghi may be a suitable option for those looking to make a statement in the kitchen, at a price of course. The cheapest toaster available, the Argento 2-slice model, will set you back close to $100. 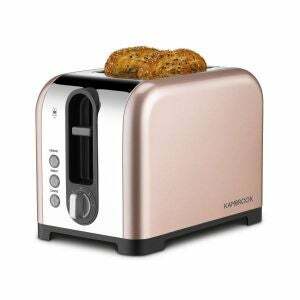 But it comes with a crumb tray for easy cleaning, an extra lift position to easily grab your toast out of the slot without burning your fingers, as well as electronic controls to select your preferred toasting level. With non-slip feet, the Argento is also available in a 4-slice model, with separate controls for each slot, meaning you can toast to people’s preferences, making it a handy addition when it comes to that busy breakfast rush. DeLonghi also offers the Icona, Brillante and Avvolta models, with each series offering similar functions and features, with the differences coming primarily in the dimensions, weight and material. Available in 2-slice and 4-slice models, each series provides a different aesthetic for personal preference, with some available in plastic while others are available in a stainless-steel finish. DeLonghi’s top of the line toaster, the Scultura, may shock some with its price tag of over $200, but it does offer plenty of variety when it comes to the control settings. With six browning temperatures and two crumb trays, the Scultura also has controls specifically designed for crumpets, while offering the standard reheat and defrost controls. All DeLonghi toasters are covered by a one-year warranty. In 2019, the brand scored four stars on overall satisfaction, performance, design, ease of cleaning, plus functions & features, with all other variables seeing three stars. Kmart offers a number of cheap and cheerful toasters, with 15 models to choose from at the time of writing. One of Kmart’s most prominent models is its 4 Slice Stainless Steel Retro Toaster. Expect an adjustable browning control along with a cancel, reheat and defrost function. In addition, it features a self-centering function to help keep the bread from being toasted unevenly. Colour options include a light almond or mint shade. For a standard 2-slice option, Kmart’s stainless-steel models come in a charcoal or silver colour. Both are designed with dual cancel, reheat and defrost functions along with variable browning control and a slide out crumb tray for easy cleaning. Prices typically start from $7.50 for a simple white 2-slice toaster and go up to $45 for the four-slice retro range. It’s $7.50 toaster features a slide out crumb tray, cord storage and two slice capacity. If you’re looking for a simple toaster without the bells and whistles, then this might be the one for you. Kmart got four stars overall as well as in most other variables. It also achieved five stars on value for money but just three stars for ease of cleaning. Offering one of the largest ranges of toasters, Sunbeam will have a model for your kitchen regardless of if you’re looking to pinch your pennies or spend big. With 2-slice and 4-slice models available across all series, Sunbeam also offers Long Slot toasters for larger slices, opening up plenty of meal time options for households. Sunbeam’s range begins with the 2-slice Quantum toaster, which will set you back around $30 at your local retailer. Coming with everything you need in a toaster, including multiple browning settings, cord storage and anti-slip feet, the Quantum toaster will suit those who aren’t looking for anything special, or are on a tight budget. 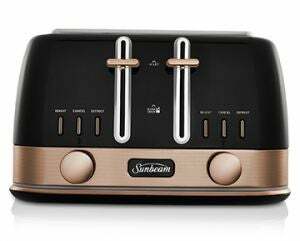 However, if you’re partial to artisan bread or Turkish bread for a fancier feed, (or you just really like your bread), Sunbeam has the Long Slot toaster to accommodate for larger slices, or different types of bread. It features self-centring slots, a high lift lever and a QuickCheck function. Busy households, as well as those who skip breakfast, may have found a saviour with the Turbo Toaster, with Sunbeam claiming a toasting time one-third of a regular old toaster. Additionally, the Turbo Toaster is stated to use half the amount of energy as opposed to other toasters. For those looking for a high-end toaster, Sunbeam offers plenty of toasters with additional features to make breakfast time a bit easier. The Gallerie series has extra browning settings to suit those who are particular about their toast, while the Maestro series boasts an LCD countdown display so that you can always grab your toast fresh. With Sunbeam’s higher-end models retailing between $100 and $200, they might be a bit more of a financial investment, but may also make the breakfast rush less stressful. All Sunbeam toasters come with a 12-month warranty. Sunbeam got four stars for overall satisfaction but five stars for ease of use and cleaning. It was four stars for all other variables. One of the most affordable ranges available, Kambrook has a number of 2-slice and 4-slice options for households to choose from, starting from around $30. Coming in a variety of plastic and stainless-steel finishes, Kambrook may be the option for those on a budget, or those who don’t need all the bells and whistles. With extra wide toasting slots for those larger slices, Kambrook’s toasters all contain removable crumb trays for easy cleaning, as well as a control with extra lift to help you grab your toast without accidently burning yourself. Other consistent features include reheat, defrost and cancel settings, as well as six stages of browning to help ensure you get the perfect texture to your toast. For those looking for a bit extra, Kambrook’s top of the line toasters also include a higher wattage for additional browning controls, along with cord storage to ensure it doesn’t take up much bench space, making it ideal for busy kitchens. All Kambrook models come with a 12-month warranty. Kambrook was left with three stars for overall satisfaction, performance, design and ease of use. It got four stars on value for money, ease of cleaning, as well as functions & features. ALDI is well-known for its Special Buys, which often feature a few budget-friendly home appliances. As part of its Special Buys, ALDI sells a 4-slice toaster with two colour options – black and white. Expect standard features such as cancel, reheat and defrost settings, along with adjustable browning controls and self-centring bread slots. And if your morning toast gets stuck, not to fear, its anti-jam function and extra high lift option is there to help. In addition, you’ll find a removable crumb tray to help with the clean-up. A three-year warranty is available on this model and it comes with a retail price tag of $49.99. KitchenAid offers a wide variety of kitchen appliances for all household sizes and preferences alike, with the toaster no exception. With 2-slice and 4-slice models available, toasters come in a variety of finishes and colours, helping to fit in with any kitchen style. 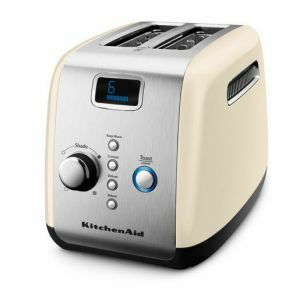 With wide slots, and an easy high lift lever to help grab your toast when it’s done, KitchenAid also offers a variety of toast settings to suit your preferences, in addition to a setting for those who prefer a bagel over toast in the mornings. KitchenAid also has you covered if you struggle to time it right, with a Keep Warm function able to keep your toast warm for up to three minutes after the toasting cycle is finished. KitchenAid’s top of the line series, the Pro Line, comes with a variety of handy features, including an LED digital display and countdown bar, along with the Keep Warm feature. While a little pricier, the Pro Line toasters set themselves apart with their Sandwich Rack, whereby households can create tasty toasted sandwiches without investing in a whole separate appliance. KitchenAid offers a two-year warranty on most toasters, with a five-year warranty on the Pro Line models. While it might not offer the widest range in terms of functions and features, Smeg will have you covered if you’re looking to make a statement with your appliances, offering both 2-slice and 4-slice toasters in a 1950s retro style, including a wide range of colours and chrome finishes. Smeg’s toasters come equipped with a crumb tray, cord storage, anti-slip feet and automatic centring racks for even toasting. With a number of toasting levels, including an option for bagels, Smeg will have breakfast sorted regardless of what you’re eating. Smeg also offers a range of matching appliances, including kettles, to help create an eye-catching aesthetic. While it may not have the most extensive range, Westinghouse certainly offers a cheaper alternative, with the American brand well-known in the appliance market. 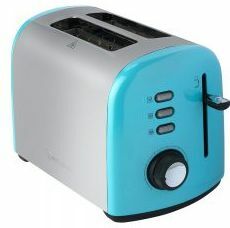 With all toasters retailing for less than $100, Westinghouse offers 2-slice and 4-slice models, with a range of colours available. With Westinghouse providing similar features across its toaster range, the main difference comes from the look, with the Pearl series built with rounded edges and a polished finish, whereas Westinghouse’s other 2-slice model comes in a more traditional mould. A 4-slice model is also available, coming with all the essential features to put crispy toast on the table, including backlit buttons and adjustable toasting settings. Westinghouse offers a 1-year warranty on all toasters. 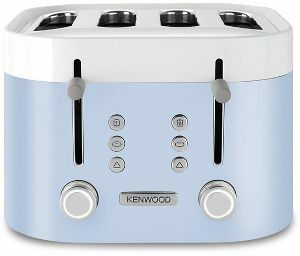 Operating since the 1940s, British manufacturer Kenwood offers households a chance to brighten up their kitchen with a range of eye-catching toasters and pastel finishes, along with the more traditional stainless-steel models, available for purchase through local retailers. Kenwood’s ‘kMix’ model, which includes 2-slice and 4-slice toasters, includes functions such as preview, bagel, defrost and reheat, with an adjustable temperature to ensure you get the toast you like. With a removable crumb tray and illuminated buttons for easy operation, the kMix would be a worthwhile option for many kitchens, regardless of the household size. Kenwood’s other series, the KSense, contains similar functions, but sets itself apart with the Eco 1 slot, which allows you to toast just one slice at a time, handy for those concerned about their power bill, or those that aren’t hungry in the morning. Retailing for over $200, Kenwood may not suit all households, but are worth checking out if you’re not phased by price. While not the most well-known brand, Morphy Richards has been operating for over 80 years, serving households around the globe for their kitchen appliance needs. Its toaster range includes a good mix of colours, as well as various finishes to blend in with your kitchen. The Accents Collection, the Morphy Richards introductory range, is available in a 4-slice variety, with all models coming with variable settings, non-slip feet and a removable crumb tray for easy usage. Morphy Richards also offers the Evoke series, with a coated stainless-steel body with chrome accents making for an eye-catching design. Feature-wise, the Evoke series is similar to the Accents models, although it does offer variable width slots, coming in handy for larger slices and longer bread types. Price was clearly the biggest factor, followed by size & style. Most purchases ultimately come down to your budget and what you’re willing to spend on a product. On average, consumers spent $47 on their new toasters, our survey found, with only 8% wishing they had spent more than they did. It’s also important to consider your household size and if you’ll need a 1, 2 or 4-slice toaster, plus if it will fit in with your kitchen aesthetic. Our survey found that 43% of adults bought a 2-slice toaster and 39% bought a 4-slicer. In addition, one in five (20%) bought their toaster to compliment other appliances. Which toaster should I buy? When it comes to kitchens, toasters are one of the first appliances you think of, handy for breakfast or a quick snack. As a result, plenty of brands offer a wide variety of models and makes, giving you plenty to choose from. But with similar features, finding one that will suit your kitchen and household may prove a big ask, making the final decision a stressful one. As with all appliances, it’s best to do your research, as while some toasters may appear the same, some brands will offer you even more cooking options, as well as handy features such as timers, bigger slots for larger slices, as well as additional safety features, making it worthwhile to explore your options. Ultimately, even buying a toaster will be a personal decision, as those who are partial to a slice or two in the morning may find it more worthwhile to go for a model with more features, whereas those who only occasionally enjoy toast may be better off with a standard model. Canstar Blue surveyed 3,000 Australian adults across a range of categories to measure and track customer satisfaction, via ISO 26362 accredited research panels managed by Qualtrics. The outcomes reported are the results from customers within the survey group who have purchased and used a new toaster in the last 2 years – in this case, 946 people.